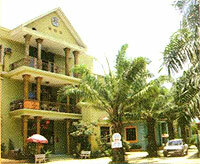 We would like to you the PARADISE HOTEL,which is located on 1K National Road, belonging to Dong Nai PARADISE HOTEL Commune, Di An District, Binh Duong Province; boders Thu Duc District and Bien Hoa City. It’s 8.000 square meters includes various services such as Restaurant, Hotel, Tourism…In addition, the PARADISE HOTEL is close to Industrial and Manufacturing areas, so it is convenient for your traveling. The PARADISE HOTEL is being developed to be a Resort. It’s perfect for you to spend time with friends and family here on weekends – holidays. 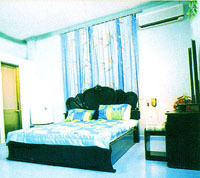 The first, our PARADISE HOTEL is one of the best Hotel in Thu Duc District and Binh Duong Province, which has more than 50 equipped rooms, modern conveniences evaluated as 3 strt-standard with fesh air, quiet environment,polite staff and fantastic scenery. The second, there is luxury restaurant that specialize for wedding, birthday, Meeting, Festival, parties with offering many European and Asian foods is done by professional cookers. And the price is reasonable! 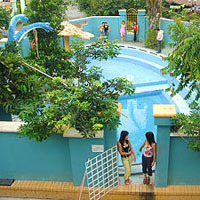 Especially, we also organize local and oversea tours.You will satisfy with our charming experienced tourist guiders. Finally, we would like to send to you the PARADISE HOTEL’S flyer. If you get any free time, don’t hesitable to come over and have a look. We’ re pround to serve you one day. During encouraging time, you will get discount 20%. The price will be reduce if you book for long term and big amount of rooms. We are pretty sure about our services and conveniences, you will be pleased to enjoy relaxings as your home. Having the honour to welcome.